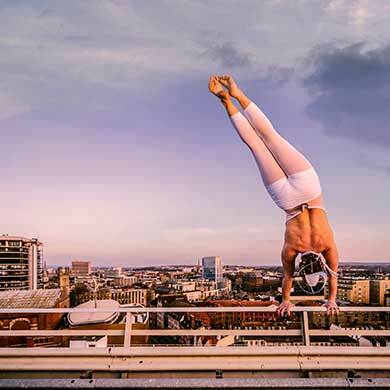 For several months I’ve been talking with the producers of Bristol’s second biennial circus festival (now Circus City, evolved from Creative Common) about the possibility of running some sessions opening up the subject of critical discourse over the course of the festival. What we were finally able to settle upon with the resources available was an afternoon of watching Bromance by Barely Methodical Troupe, followed by a group discussion about the show and circus criticism in general – with the opportunity for participants to receive mentoring and editorial support to publish their own reviews if they wish, both here and on the festival website. Bromance is one of the few UK circus productions that has managed to receive reviews within mainstream arts media in recent years, which may provide an interesting launchpad for our discussions. I last saw the show in 2014 at Edinburgh Fringe, so am looking forward to finding out how it has developed. Then, at the 11th hour, we received the exciting news that Theatre Bristol, an advocacy and development agency for the region, was able to provide some funding to extend the possibilities of this project and allow participants access to other shows on the programme, and to additional support from me. They have also commissioned me as a resident writer for the duration of the festival to provide content to TheatreBristolWriters.net, which you can read here. Additional reviews will continue to appear here, of course, and if this is a service that you value I urge you to consider pledging to the new campaign to keep the website running. I have great plans for how the site can develop to foster new critical voices and provide even stronger support for the sector. If you’d like to be a part of that, we’d love to have you on board! Tagged as Bristol, Circus, circus city, contemporary, critical discourse, critique, reviews, writing.